Make first power destiny choice. Make second power destiny choice. Make third power destiny choice. Join Cyclops and the X-Men. Join Magneto and the Brotherhood. Help Emma Frost defend mutant civilians from Purifier attacks. Survive Magneto's attack on the Purifiers. Find the U-Men secret lab. Help Emma Frost turn Wolverine back to normal. Defeat more enemies than Wolverine in the Prime Enforcer factory. Help Pyro set the roof on fire. Help Iceman, Cyclops and Emma Frost defeat the Purifiers. Help Pyro, Juggernaut and Quicksilver defeat the Purifiers. Stop Pyro from being mind-controlled. Stop Northstar from being mind-controlled. Help Forge's hacked Purifier Stalker Mech defeat the MRD Troops. Fully level up a power. Fully level up all powers. Complete your first Great combo. Complete your first Insane combo. Break 30 Combat Text Pop Ups. Defeat 10 enemies with one Ultra power. Complete your first challenge mission. Complete all 15 unique challenge missions. Destroy your first piece of propaganda. Destroy 25 pieces of propaganda. Defeat 20 Purifier Stalker Mechs. Defeat 30 U-Men in the Secret Lab. 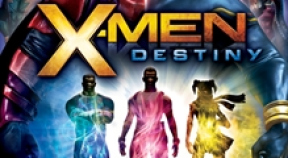 Finish the game on X-Man difficulty. Finish the game on X-treme difficulty. Finish the game on New Mutant difficulty.